These Are The Most Expensive Indian Weddings Till Date! Can you imagine spending 500 crores just on your wedding? Indian weddings truly justify the term 'big fat' and while some don't go beyond a certain budget, a few go overboard. There are some Indians who have made their wedding not just the talk of the town but the entire nation. From Lakshmi Mittal’s daughter’s Palais de Versailles lavish wedding to Adel Sajan’s Dil Dhadakne Do-themed cruise wedding, here's a look back at the most expensive Indian weddings till now. Would you dare to spend 240 crore for your wedding? Even if it brings you a dhamaakedaar performance by pop star Kylie Minogue right at the Eiffel Tower with fireworks in background? Well, Vanisha Mittal, daughter of Lakshmi Mittal, and her banker fiance did at the Palace of Versailes with chefs specially flown from India. Their weddig has made it to the second most expensive wedding in the world. 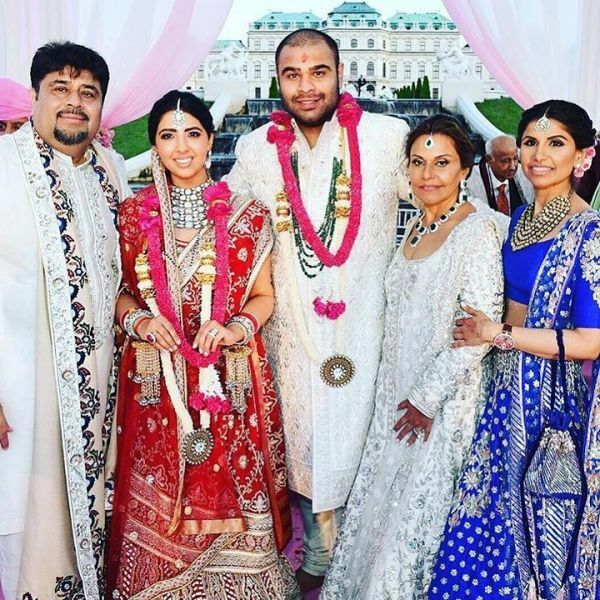 UK-based billionaire Sanjay Hinduja tied the knot with designer Anu Mahtani in a dreamy Bollywood set-up at Jagmandir Island Palace in Udaipur. It was a star studded wedding including Bollywood stars like Arjun Kapoor, Ranveer Singh, Preity Zinta and Malaika Arora and others. Their wedding witnessed a power packed performance by none other than Jennifer Lopez and this majestic wedding was billed at 147 crore rupees. Not only that, their guests were chauffeured around in BMWs, and the bride was heavily loaded in Manish Malhotra ensembles. Remember when demonetisation struck all of us really bad in 2016? But mining baron Janardhan Reddy’s daughter Brahmani was far from affected by it draped in a Rs 17 crore Kanjeevaram saree and Rs 90 crore worth of jewels. It didn't stop there. 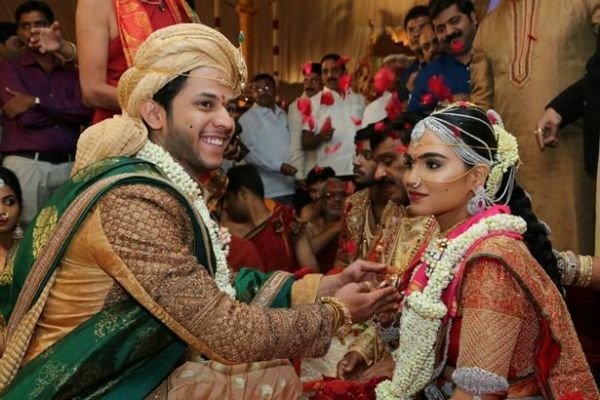 The guests received personalised wedding invites via LCD screens which cost Rs 5 crore, and they were served food in pure gold and silver utensils. Say what??? How inspired are you with Bollywood when it comes to planning your wedding? Not as much as Adel Sajan and Sana Khan, for sure. 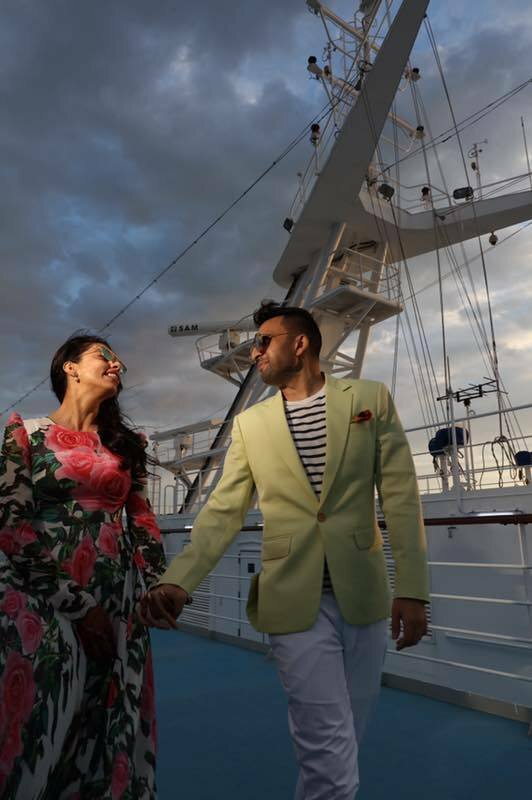 In fact, they planned a Dil Dhadakne Do - themed wedding, and booked a cruise that sailed from Barcelona to Cannes. With Badshah's kickass music and Bollywood beauties Malaika Arora Khan & Shilpa Shetty Kundra aboard, this wedding was no less than a 200 crore shaadi. Also, Michelin-starred chef Fabio Cucchelli had a special 13-tier wedding cake made for the couple. How we wish to be a part of such a funfilled cruise wedding! Now heading to the slightly less expensive weddings - these still costed crores, mind you. 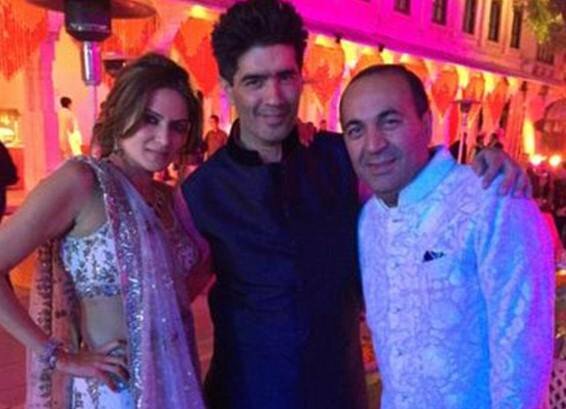 The luxurious wedding of Gaurav Assomull and Kajal Fabiani was held in Monaco. 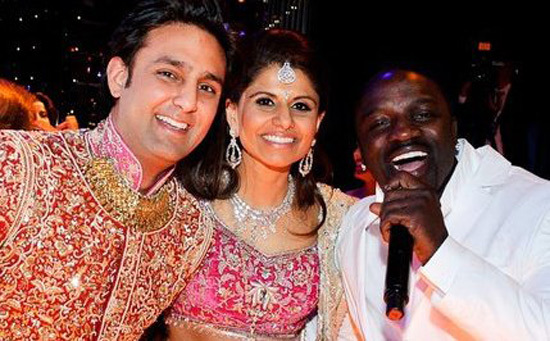 With extravagant hotels for guests and treating them to a four-course dinner alongside a performance by Sukhbir and a hip-hop concert by Akon. Now that sure is a celebration no one would ever forget! If the Mittals won't then who would? Lakshmi Mittal's niece, Shrishti Mittal's wedding took place in Barcelona at the National Museum of Catalan Art atop a hill and the cost is estimated to be Rs 500 crore. Umm.. yeah 500 crore! Take a deep breathe and calm yourself as we tell you that over 200 chefs, butlers and assistants were flown in from India and Thailand. And not just that, the wedding cake was a six-tier cake weighing 60 kilos. The star-studded wedding of Sonam Vaswani which flooded our Instagram feeds with the hashtag #sonavsofab, definitely makes it to the list of one of the most expensive Indian weddings ever. The wedding took place at Belvedere Palace in Vienna where Sonam was seen donning Manish Malhotra ensembles from head to toe and jewelled her look with uncut diamonds. And not to forget the brilliant performance by Bruno Mars. Mr Mukhesh Ambani, it's your turn now.